Selecting warehouse pallet storage rack systems involves specific expertise and appropriate system choices. Whether setting up or replacing storage pallet rack systems, warehouse operators are often confronted with a dazzling number of choices. That can be troublesome, since the selections they make dramatically affect “throughput,” and hence the profitability of the operation. On the other hand, they may be offered limited choices because a pallet rack manufacturer or dealer specializes only in certain types of pallet racks, another problematic scenario. Choosing the right storage racks begins with considering the flow of merchandise, which will dictate density requirements or how ‘tightly’ the merchandise should be stored. From that determination cascades a series of specifications: the material and style of storage racks, pick systems, ancillary material handling, etc. Warehouses with high-density storage solutions usually have large turnover of inventories during specific intervals or seasons. During these times, merchandise is often stored en masse in large bays with few access aisles to maximize floor space. Depending on density requirements, a specific pallet rack system -- or combination of systems -- may best serve the warehousing and shipping needs of a business. The most popular type of rack is Selective Rack, so called because it allows easy selection, normally by service (truck) aisles. Selective Rack does not make the most complete use of floor space due to the aisles required, but may be a solution for many companies. A Drive-In Rack increases density and is utilized where group pallet selection is more likely than individual pallet selection. With Drive-in Rack, loading and unloading within a bay must be done from the same aisle. A Drive-Through Rack, however, permits loading and unloading from both ends of a bay. Cantilever Rack is primarily utilized to store bulk items such as building materials (lumber, pipe, drywall) and furniture. It is commonly found in home centers and furniture warehouses. Also, there are two types of steel that are used in the majority of pallet racks. “Roll-form steel” rack frames and beams are fashioned from steel coils and bent into a tubular shape. “Structural steel” frames and beams are hot-rolled into channel at the mill. According to Keck, most pallet rack manufacturers offer one or the other, but Steel King offers both. 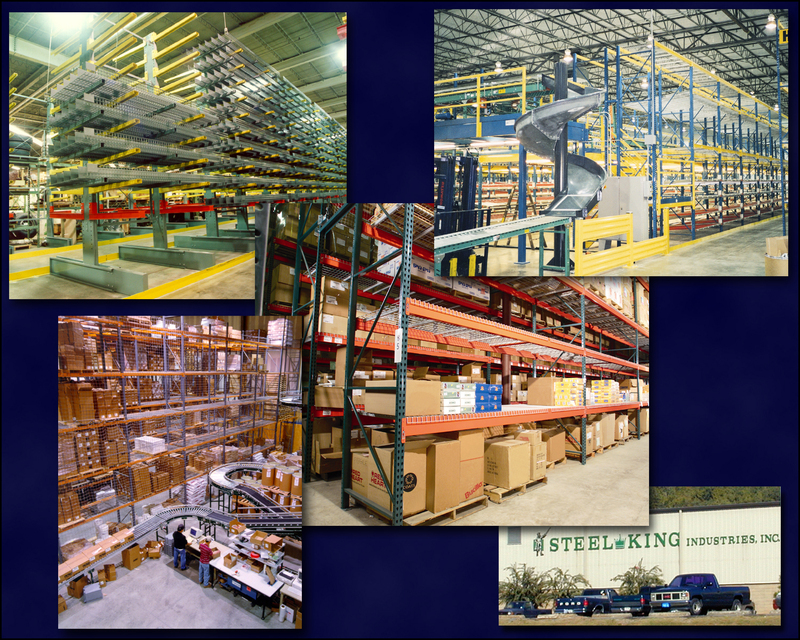 Selecting warehouse storage rack systems involves specific expertise, appropriate system choices and ensuring the facility is ready -- all of which affect capital expenditures, overhead and the efficient response to distribution needs.